"...I never played Secret of Mana 2 on the Super Nintendo, but I could recognize its trees in a blink. I saw them in countless other games, their lush branches decorating the corners of fantasy worlds filled with magic, dragons, and bugs. Oh, so many bugs. I’ve never played the first Star Ocean, the Suikoden series, Terranigma, or Chrono Trigger. But I know them. They are games I’ve always appreciated in a disjointed state, their plants and furniture dissected and laid out on sprite sheets like tiny organs on an autopsy table. I saw all this because, when I was a teenager, I illegally ripped art assets from commercial games..."
"...Before 2005, the amateur game-making tool RPG Maker didn’t have an official publisher. 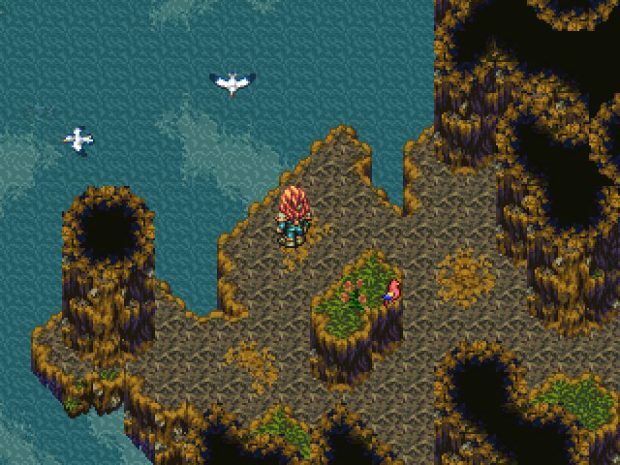 The community thrived in the shadows, a bunch of teenagers armed with cracked, unofficially-translated copies of the engine, and one shared dream: making games as cool as Final Fantasy. Teens with no preparation, no guidance, and no bloody idea of what they were doing. RPG Maker is an intuitive tool, and people were quick to master it even without official support. But all games need art assets to shine, and most of those teens had never used graphics software more complicated than MS Paint. That’s why they – we – turned to stealing art from other games. Ripping assets was not a new concept to the pre-pubescent indie scene. GameMaker users were ripping as well, and some famous GameMaker games from that era, like Ark 22, feature a number of ripped and edited graphics. Ripping from commercial titles soon became an integral part of the early RPG Maker days..."
"...People often feel OK about downloading those old, forgotten games from clandestine websites, but using old assets from forgotten games in your own non-commercial endeavour is still a taboo. Wouldn’t it be nice, though, to salvage whatever we can from our past? To celebrate it in a new form?..." "...When a work enters the public domain, everyone becomes free to change it, redistribute it, and use parts of it for their own creations. In the world of literature, this freedom gave birth to literary mashups, like Pride and Prejudice and Zombies, and to new novels featuring borrowed characters, like The Wide Sargasso Sea. It’s a form of fan-fiction, in a sense (another kind of homage that is getting difficult for videogame authors, with more and more projects taken down by cease and desist letters). Pop art got Andy Warhol and endless replicas of Marilyn Monroe’s face. Songs have covers and remixes. Novels have fan-fiction. Moms have decoupage. Will games ever be allowed to have the same freedom? We’re used to seeing old games being remastered and rebooted. I hope one day we will be allowed to remix them."